We are all exposed to toxins on a regular basis. Toxicity in the body occurs when we are exposed to more than we can breakdown and eliminate. These toxins accumulate and are stored in fat tissue, the nervous system, bones and teeth, and our organs. When the natural routes of elimination are overworked or clogged, hydrotherapies like infrared saunas and cold friction massage stimulate toxin removal from the body. We are simply supporting what the body has been trying to do all along. Sit comfortably with your head out of the heat while this UV-free infrared sauna heats your body from the inside out. Benefits: Detoxification, relaxation, pain relief, anti-aging and skin purification, lowers blood pressure, immune stimulation, and improved circulation. Lying down with torso covered. Limbs and back will be massaged with cool water. Benefits: Improves circulation, increases resistance to cold and flu, relieves muscle soreness, and enhances energy and endurance. Rest underneath warm blanket. 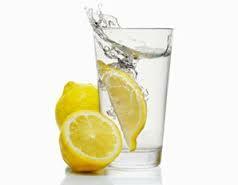 We provide fresh organic lemon water to rehydrate. Benefits: Relaxation, calm mind, allows the body to integrate the full treatment, prepare to enter back into the world.